Bagley Flat Campground is located on Saguaro Lake. The entire road to the lake is paved, but a boat is required to reach this uncrowded campground. 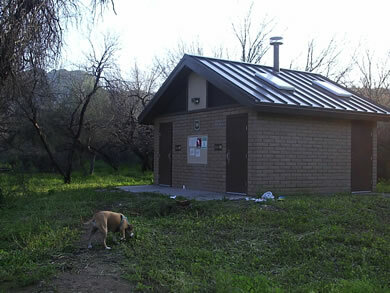 There is a large courtesy dock at Bagley Flat and an emergency intercom. Bring sunscreen as the desert can offer some pretty high temperatures in the summer. A grove of mesquite trees offers a little shade in the campground. This is a PACK IT IN - PACK IT OUT CAMPGROUND. There is no drinking water available. You must bring your own water. Also remember when cleaning around your campsite, there is no soap or detergent allowed in the lake. Activities include fishing, boating, water skiing, swimming, windsurfing. 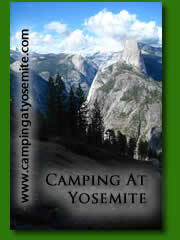 Although there are no fees at the campground, there is a fee to enter the recreation area. Saguaro Lake Marina is full service including boat rentals, fuel, a dock, restaurant, boat excursions, ice, bait and tackle. From Phoenix Travel east on Shea Blvd. through Fountain Hills to Hwy 87. Turn Left on Hwy 87 and drive 10 miles to the Saguaro Lake turnoff (Bush Hwy) FR 204. Turn right and follow the road to the Saguaro Lake Recreation Area. The last four miles are by boat. See map above (click to enlarge).